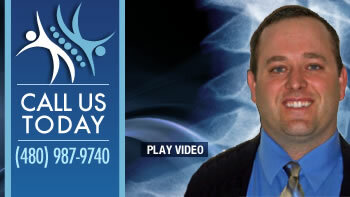 As a Queen Creek chiropractor, I take pride in offering state-of-the-art natural health care for our East Valley area. We’re always attending seminars and learning new ways to help health-conscious Queen Creek-area residents. My commitment to volunteering information and explaining everything in advance is often mentioned by our delighted patients. Through the education and the best chiropractic care, I enjoy turning chiropractic skeptics into believers. I once heard it said that you don’t choose chiropractic as profession, chiropractic chooses you. That was certainly true for me. Looking for a Queen Creek chiropractor who offers clear explanations? Ready to get started today? Tour our site, learn more about Dr. Clinton Huston, and call our office to schedule an appointment with Dr. Clinton Huston today. Great job! Ashley gave a great massage, and the front desk was very helpful with the insurance. Dr Huston listened to my problem and worked very hard to try to dissipate it. He was very knowledgeable and encouraging. Best chiropractor I have ever seen! I couldn’t even stand up straight when I went there and left being able to walk. Can’t ask for more than that. Just what I expected a good chiropractor to be. Thanks. I was in pain for a week, after the adjustment, was able to walk without the cane. I am so glad to have visited you. Today I feel I could run if needed. Thank you. Great staff. Dr. Huston and Ashley are great! We already scheduled our next visit. Definitely, will tell family and friends about this awesome experience! Fantastic experience, staff is friendly, environment is relaxing and calming, Dr. Huston is a top notch chiropractor. Truly my best experience and I will recommend Desert Mountain Chiropractic to everyone I know. Wonderful and very helpful. I would recommend to friends. Thank you. You guys are great! My lower back already feels better. Front desk staff is over-the-top nice and friendly from the very first phone call all the way through my entire visit and the practitioner was fantastic – thorough and effective. My prior chiropractor could not fix my lower back problem, so I went to Dr. Huston. In 2 visits the pain was gone. He had a different approach that really worked. I was visiting the area from out of state and was in considerable pain. I’m very grateful that Dr. Huston and the staff were willing to work me into the schedule. The treatment gave me a lot of relief. Thank you for spending all that time with me and helping me with my vast array of neuro muscular/ortho maladies. You are an answer to my prayers. Blessings to you! They took great care of me, I will be coming back. Dr. Huston is amazing! I recommend him to everyone I know! He is my new hero!